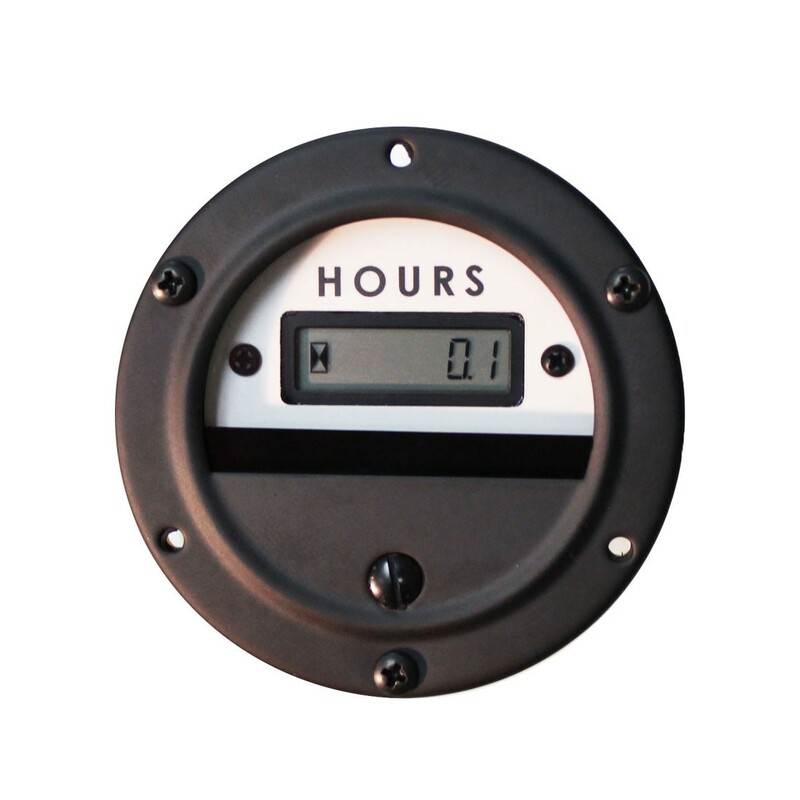 2.5" Round Digital Hour Meter. Designed for extreme duty applications where vibration and the environment are a concern. Can run on 48-150VDC or 100-230VAC which powers up the 100,000 hour numeric display (no-reset or backlight). Made in the USA using the proven 17/3MM metal case with gasket.